In this challenge, you will use the same Autodesk 3D design software used by professionals to conceptualize and model a new part for a robot that improves its functionality or overcomes an existing problem. The new part must be designed to fit an existing robot, and may consist of multiple pieces that form one part design. 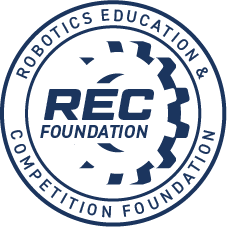 The robot may be a competition robot (VEX, FIRST, BEST, PLTW, SkillsUSA, TSA, etc.) or another robot that performs an interesting task. To make it even more exciting, you will also have the option to compete for a “bonus prize” by 3D printing your custom part! Note that your 3D printed part from this online challenge may be used in the VEX U competition, but not in VRC. As a result of this challenge, you may just uncover the path to your destined career! You can sharpen or learn new skills, show off your talent, and build a portfolio that will give you an edge over peers when applying to universities or jobs. This is especially important as employers today are looking to hire new graduates with demonstrated experience and skills. To help you succeed, access to Autodesk software is available at no charge to students. In the Make It Real CAD Engineering Challenge, you must use either Autodesk® Fusion 360™ or Autodesk® Inventor® to model your custom robot part. Whether you’ve used the software before or are brand new to CAD, the Autodesk Design Academy provides lessons and video tutorials for all skill levels. You can learn more about parametric, direct, and free form modeling on the Autodesk Design Academy web page created just for this challenge. One prize will be awarded in each of three divisions – Middle School, High School, and College/University. The 1st prize will be awarded to the highest scoring of all entrants. If there are no entries in any division, then a prize will not be awarded for that division. Additionally, one “bonus prize” will be awarded to the best entry that uses a 3D printer to make the part that they have designed, and that meets all of the requirements associated with the “Make” section of this challenge. It is not necessary to be selected for the first, second or third prizes in order to qualify for the bonus prize. If you do not have access to a 3D printer, you may send your file to Shapeways or Sculpteo, or identify another local source that can provide this service, generally for a small fee (not reimbursed by Autodesk or the REC Foundation). Entrant age range: Age 13-24 years old, must be a registered student or homeschooler. VEX competition team requirement: Does not have to be a team entry. These are the minimum requirements for this challenge. The “Evaluation Criteria and Additional Information” section below will provide additional guidance on how your project will be judged. Failure to fulfill any of these requirements may result in your entry being disqualified from advancing to Finalist or Winner status. You must use Autodesk Fusion 360 and/or Autodesk Inventor to design the new part. Quickly get up to speed with learning resources provided for this challenge on the Autodesk Design Academy – learn to model YOUR way, from parametric, direct, to free form modeling. Visit www.autodesk.com/CADEngineeringChallenge. See "Design Requirements" for what you must submit to enter the challenge, and "Make Requirements" if you want to qualify for the bonus prize. Upload the Final Report document and all supporting imagery, videos, or diagrams directly to this online challenge site (maximum file size: 200MB) during the submission process. Explanation of how you used Fusion 360 or Inventor to create your new part AND clearly state the version of software you used. Brief conclusion: What did you learn from this project? Will you use Fusion or Inventor in the future? If so, what for? How does Fusion or Inventor help you if you are on a competitive robotics team? Will learning 3D design software help you in your career path? If so, how? One (1) final rendered image of your new part, LABELED with the software version you used to create it. If you are selected as a Finalist, you will be required to provide the complete CAD dataset created. If you do not have access to a 3D printer, you may send your file to Shapeways or Sculpteo, or identify another local source that can provide this service, generally for a small fee (not reimbursed by Autodesk or the REC Foundation). If you are selected as a Finalist, you will be required to provide the .stl file (in addition to the CAD dataset required in the “Design” category). Judges will select ten or more finalists from the submitted entries and will take community voting results into account in making their choices. The finalist submissions will then be judged by additional selected professionals including Autodesk engineers whose scores will be combined with the preliminary-round judges’ scores to determine the winner of the Make It Real CAD Engineering Challenge. All entrants will be judged for their Design entry, and those who have submitted an entry for the “Make” section of this challenge will also be judged for the additional bonus prize. Does the design work show skill proficiency using Fusion and/or Inventor? Is the software version clearly identified?